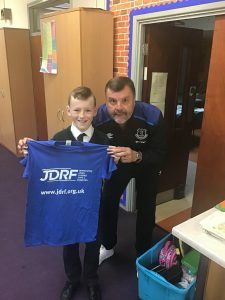 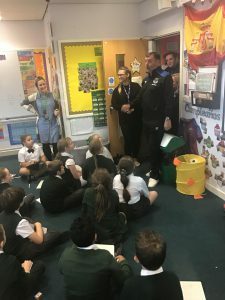 On Wednesday 14th November, as part of our ongoing relationship with Everton in the Community, Graeme Sharp visited school to raise awareness on World Diabetes day. 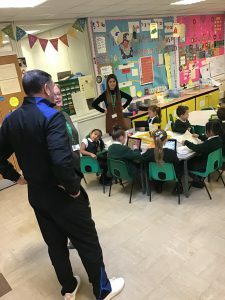 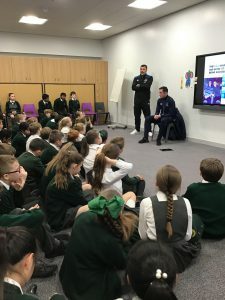 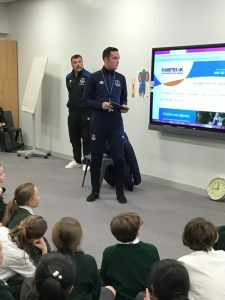 Graeme, along with a member of staff (Dylan Dickinson) delivered a presentation to Year 6 children, giving advice and making children aware of Type 1 diabetes. 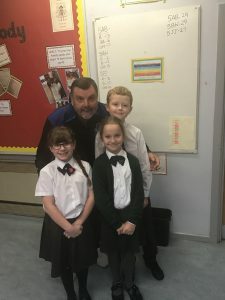 Graeme also walked around the school giving the children an insight to the life of a footballer, talking about the 160 goals that he scored, the trophies that he won at Everton and the opportunity of representing his country (Scotland) at the World Cup Finals in 1986. 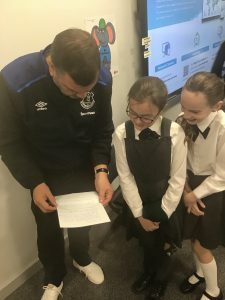 Thank you Graeme and Everton in the Community!